The compact excavator weighs over 10,957 pounds and provides the company with a true 5-ton excavator that is well suited for a plethora of applications. The company’s proprietary Takeuchi Fleet Management (TFM) telematics system would come as a standard feature on all TB250-2 units. Takeuchi Manufacturing (Takeuchi), a Japanese heavy machinery manufacturing firm, has reportedly announced the launch of its latest compact hydraulic excavator called the TB250-2. Reports cite, the TB250-2, weighing in at about 10,957 pounds, provides the company with a true five-ton excavator that is specifically designed for a plethora of applications ranging from landscaping to rental and general contracting. According to a report by Lawn & Landscape, the new compact excavator boasts of features such as a long arm that comes with an integrated thumb mount which gives the machine a maximum digging depth of about 12 feet 4.8 inches. Moreover, the excavator would also include the company’s proprietary Takeuchi Fleet Management (TFM) telematics system as a standard, the TFM system allows the machine owners to have remote access to the excavator’s vitals, performance, utilization, location, and maintenance data. The machine’s four-pump hydraulic system facilitates a multi-function capability and its precision pilot-joy sticks allow for a smooth metered control. The excavator is also an outstanding attachment platform. The multi-function monitor feature makes hydraulic flow rate adjustment possible from the vehicle cabin and the multiple presets enable attachments to be swapped out easily & quickly. The Director of Product at Takeuchi, Mike Ross stated that the company is thrilled to add the TB250-2 to its fleet of excavators and looks forward to offering contractors with a machine that would thoroughly exceed their expectations on the most daunting of job-sites. Ross further added that listening to customer needs is the key to the company’s success as Takeuchi incorporates customer feedback in all its products to ensure that the performance, value and the build quality is unmatched. 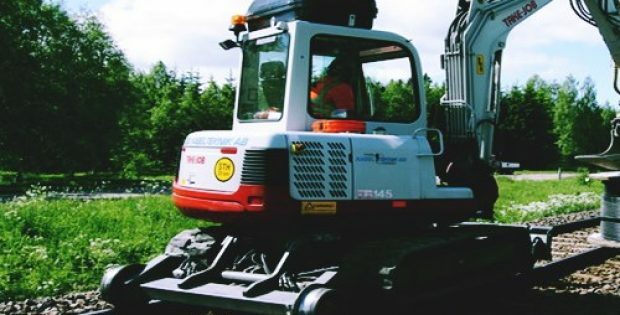 According to reports, the new excavator is available for sale and the company is already taking orders from interested buyers.